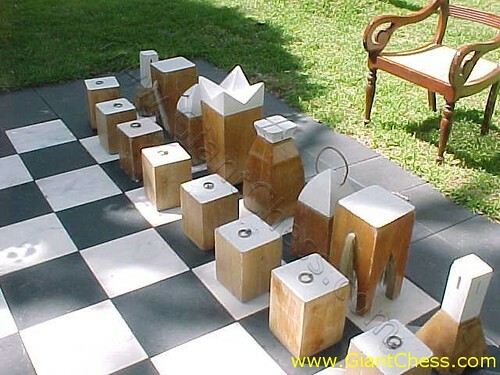 Very simple and different with another decorative chess. It's made of teak wood and painted in various color. It is unique to be placed at outdoor since it can be functioned as outdoor game playing and decoration. The product is very durable in any seasons. You can play the block chess game at your garden or backyard without worry about the damaged because it made of the strongest wood in the world, Teak wood.